Pull-Ups vs, Chin-Ups: Differences and which is better? 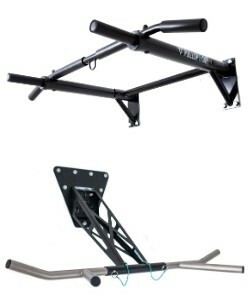 Jump up and grab an overhead horizontal bar, like the one on your Pullup & Dip bar. Use an overhand grip where your palms are facing outward and away from you. 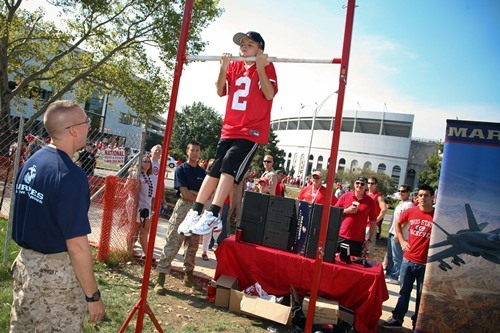 This is a pull-up. Alternatively, you can face your palms inward with an underhand grip. That is a chin-up. 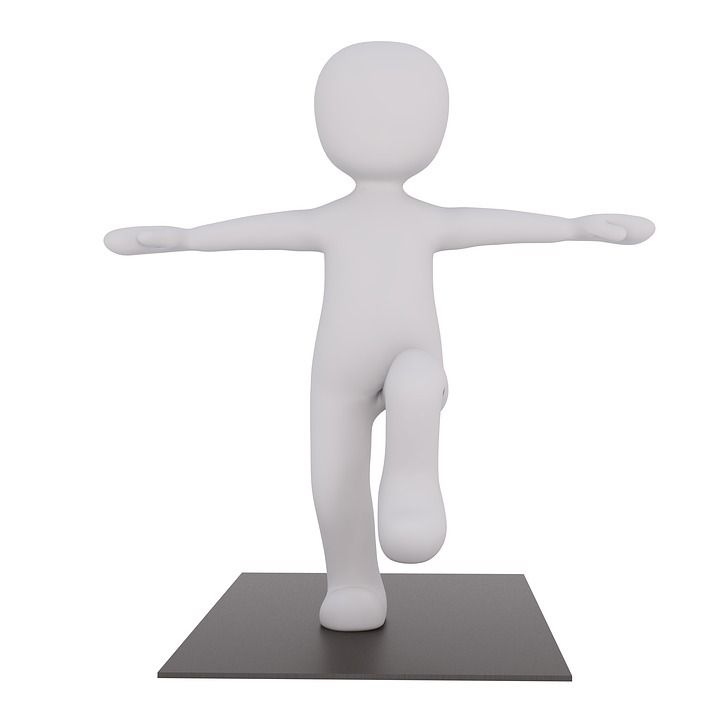 Tighten and brace your core while avoiding the temptation to kick or sway your legs. If it helps, cross one leg over the other leg. This helps to keep your lower body steady. From the side, your body should form a straight line with your head in a neutral position. Take a deep breath and slowly pull yourself upward with control. As you pull yourself up, keep your elbows tucked in toward your side. Continue to pull upward until your chin is level or just pass the horizontal bar. Pause, then lower yourself back down. The key difference is your pull-up grip position. An easy way to remember which is which is when your palms face your chin, it’s a chin-up. Which exercise is better depends on your goals and what you’re trying to accomplish. Here are a few things to consider when comparing the two exercises. 1. What’s your fitness progress? 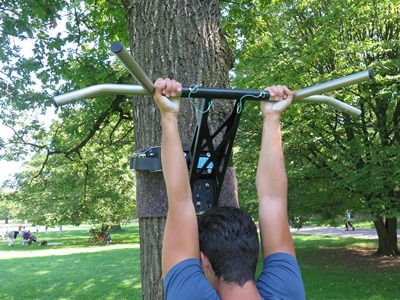 While both workouts are very effective, many beginners find chin-ups are easier to do. 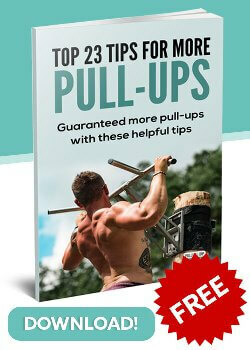 If you’re just starting out, work on perfecting the chin-up before progressing to a pull-up. If you’ve been exercising for a while and can easily do both exercises, add resistance by strapping a weight to your belt. 2. How broad is your rotation abilities? Another thing to consider is past injuries and difficulties with range of motion. A chin-up’s inward facing grip helps move your shoulder into an externally rotated position and keeps your joints in a more “natural” position. It can also help strengthen and reduce the unnatural hunching created by our modern jobs where we’re always leaning over a desk. In contrast, a pull-up’s palms-facing-forward position puts more strain on your shoulders. Compared to chin-ups, a pull-up also has a higher risk of injury. That’s why some people, especially those with shoulder issues, prefer the chin-up for its more natural, gentler approach to movement. 3. What muscles do you want to target? Both workouts are effective at building impressive arm size and strength, but the best workout depends on which part of your arm you want to hit. Pull-ups are better at building your forearm strength, while your biceps benefit more from chin-ups. 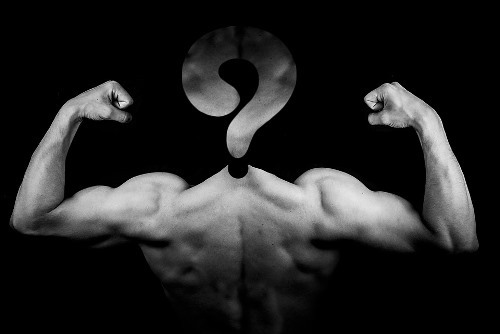 In fact, a personal trainer study found that chin-ups are one of the most effective bicep workouts. Overall, the chin-up is also better for an arm workout while the pull-up incorporates more back muscles. As you can see, there are some key differences between these two exercises. Why force yourself to choose between the two? 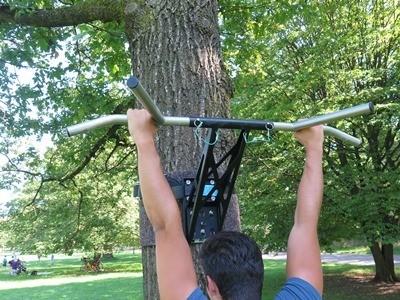 Using your Pullup & Dip bar, incorporate both exercises into a powerful upper body routine. Try the following sample schedule before doing a lower-body workout. Day 3: A pull-up pyramid of 2, 4, 6, 8 and 10. Rest for a minute between each set. Once you hit 10, work your way back down to 2. Day 3: Pullup, pyramid – 2, 4, 6, 8, 10. Try and go longer than you did last week. Finally an article the describes the difference as most sites and articles treat them just the same even though they have a totally different grip position. 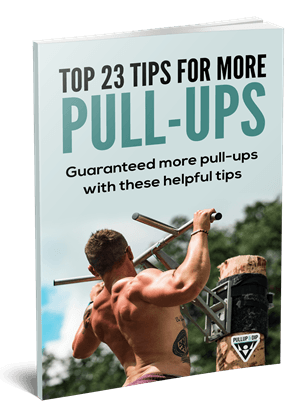 Personally I would recommend all beginners to start with chin ups as they are easier and then once you can do 5 or more reps go over to pull ups but still do some chin ups here and there. You’ve done a lot of good work to create this site.